Climb to breathtaking heights and swim from golden shores just hours later on Tenerife. Uncover thriving culture and talented artisans or simply relax by the pool with a refreshing cocktail. Tenerife is an island that appeals to a variety of travelers yet all appreciate the awe-inspiring Mount Teide and surrounding national park. Not only the highest point on the island, at 12,200 feet (3,718 meters), this is the tallest peak in Spain. Whether you take the cable car or choose the challenging 6-hour hike up, the island views from the summit are truly unforgettable. At opposite ends of the island, explore Anaga Rural Park, with breathtaking views at the island’s eastern tip or visit the pristine southwestern coast. 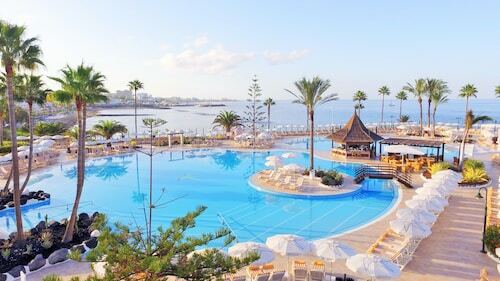 The town of Los Cristianos combines traditional charm with a sheltered bay. 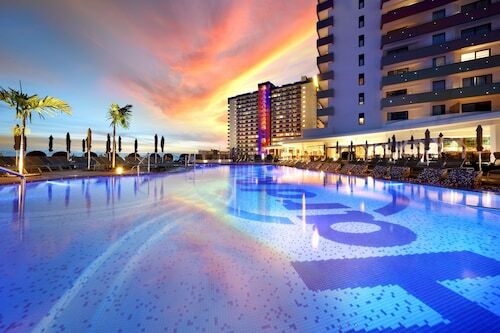 The sandy beach at neighboring Playa de las Américas is backed by restaurants, bars and luxurious hotels. Spend an afternoon sunning yourself by the sea before you end the day with a specialty cocktail. Bring your family to enjoy the slides and artificial waves at Siam Park. 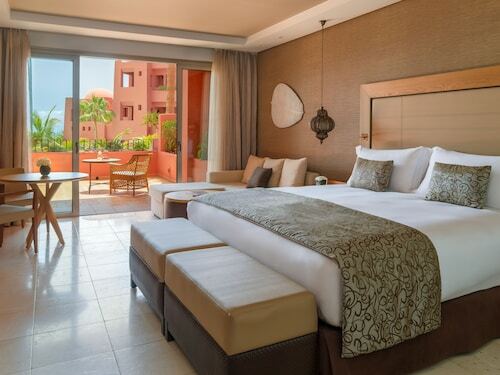 Drive north along the Costa Adeje to discover secluded resorts and beautiful, empty beaches. Visit the island’s eastern coastal capital. Santa Cruz de Tenerife is a delight with many beautiful old buildings and fascinating galleries. The17th-century Iglesia de Nuestra Señora de la Concepción features stunning Islamic-style architecture. Visit the Museo de la Naturaleza y el Hombre to see an amazing combination of art and science in spectacular exhibits. Join in February’s city carnival, a street party with extravagant floats, costumes and live music events spread over 3 weeks. 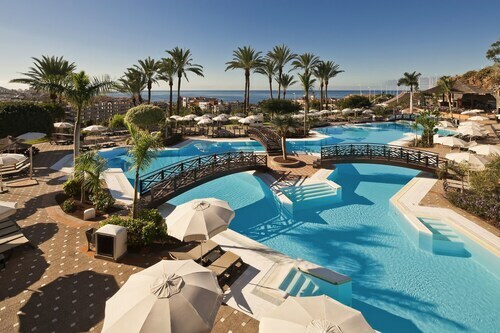 Tenerife, located centrally within the Canary Islands, has regular flights from across Europe. The island is most popular during the summer; however, it remains warm year-round with little rain. Stay at one of the many coastal resorts or choose the quieter eastern side. The food is typically Spanish. Enjoy delicious seafood, paella and tapas. Tenerife is an island of wonderful contrasts and a very pleasant climate. A holiday in the La Orotava valley is perfect for those who seek an unbeatable natural environment with lots of things to do. Does that sound like you? 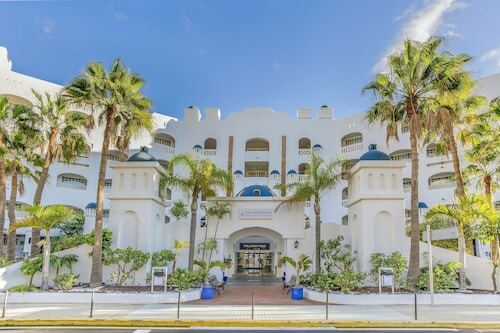 Located in Costa Adeje, this luxury resort is within a 15-minute walk of Plaza del Duque Shopping Center, Fanabe Beach, and El Duque Beach. Aqualand Costa Adeje and Puerto Colon Marina are also within 2 mi (3 km). 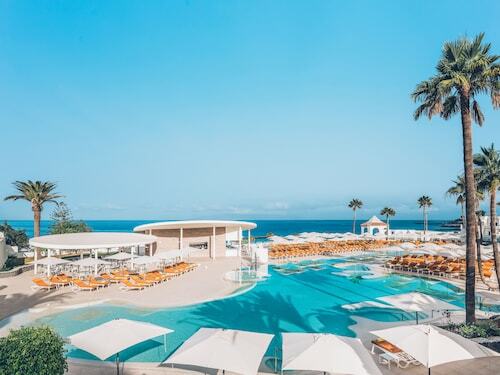 Nestled on the beach, this Costa Adeje resort is within a 10-minute walk of Plaza del Duque Shopping Center, Fanabe Beach, and El Duque Beach. Aqualand Costa Adeje and Siam Park are also within 2 mi (3 km). Sat., 18 May - Wed., 2 Oct. 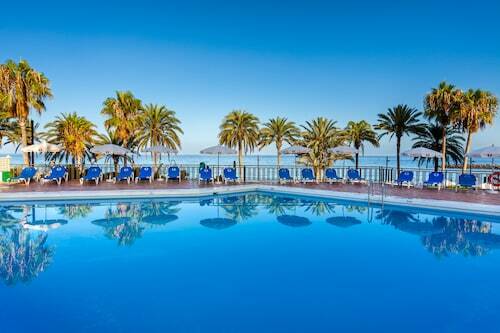 Looking for Flights, Hotels, Car Hire and Holiday Rentals in Tenerife?